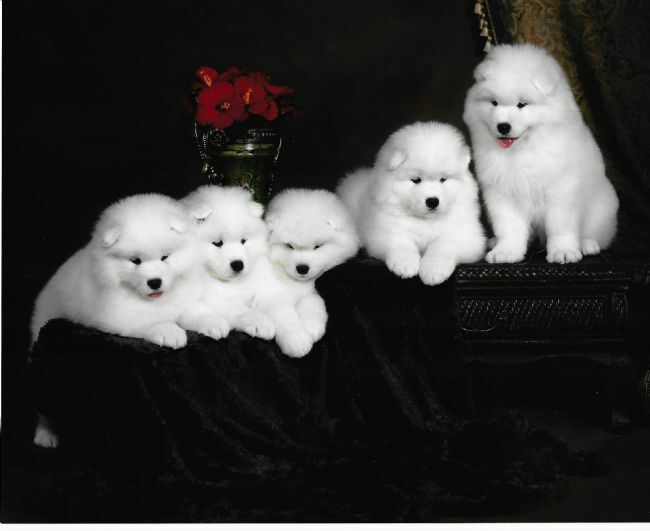 Interested in a puppy of your own? 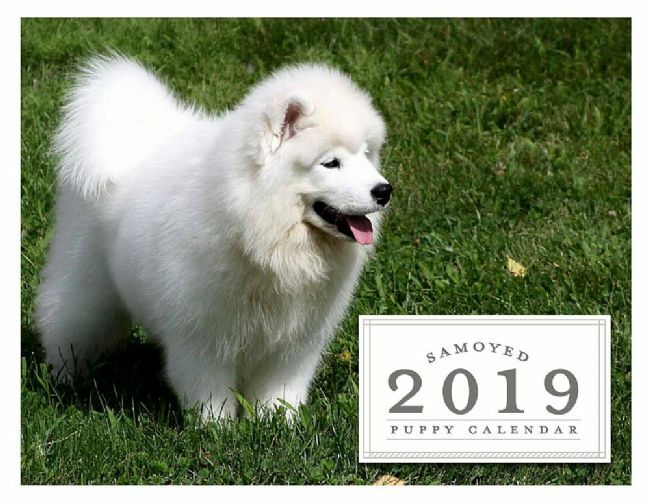 Fill out a puppy application. We promise, we won't bite. 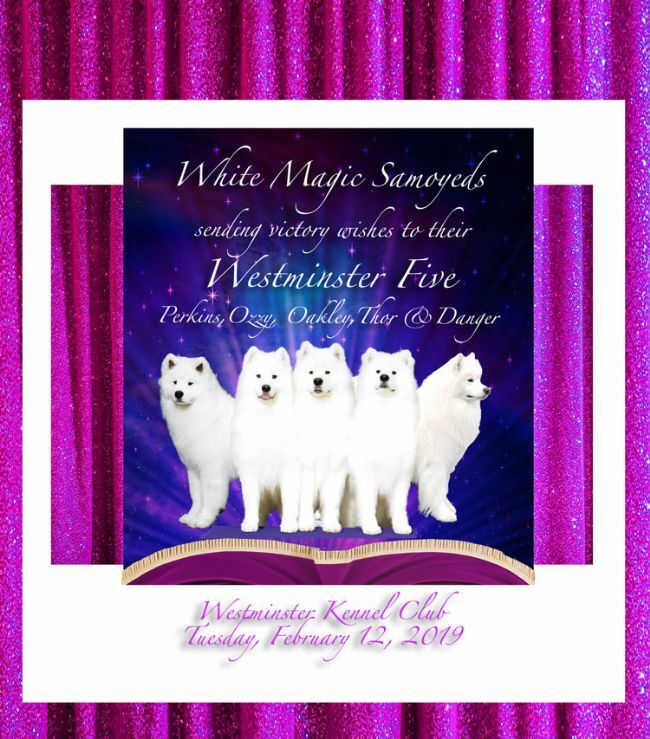 White Magic Samoyeds wishing Perkins, Ozzy, Oakley, Thor & Danger the BEST OF LUCK at this year's 2019 Westminster Kennel Club Show.